The Rotary Club of Del Mar, founded in 1954, has over 60 active members. 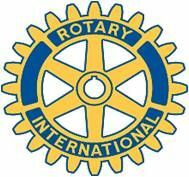 We are one of over 32,000 Rotary clubs and 1.2 million Rotarians worldwide. The Rotary International motto is "Service Above Self" - and our club embodies this wholeheartedly. We are open to membership to anyone with a passion for service and who can meet the criteria for being a great Rotarian -- having the time, talent, & treasure to support the greatest service organization in the world. Current and past membership includes many business and community Leaders from the Del Mar, Solana Beach, Carmel Valley, Encinitas, Carlsbad and Rancho Santa Fe communities. Our members represent diverse professions, from agriculture to educators, physicians, lawyers, bankers and many more. Our members are from all over this great country and the world, including Mexico, Canada, United Kingdom, Germany, India, Bangladesh, Turkey, Australia, Africa and Ireland. Members range from very young professionals early in their career to retired people that want to give back. Our Rotarians share their talents both internationally and locally. Our projects are many and diverse and include such efforts as the final push to eradicate Polio from the world and helping to organize beach clean-ups in Del Mar. We have dentists and doctors that visit Baja and perform miracles for children and that work nights and weekends at St. Leo's Community Health Care Clinic in Solana Beach. The boardwalk and fencing in the western portion of the San Dieguito River Park was built by Rotarians. The beautiful village clock at 15th Street in Del Mar was established by us too. For local youth, we sponsor Interact clubs for students at Torrey Pines and Cathedral Catholic High Schools, teaching them leadership, ethics, community service, and world peace and understanding. We sponsor a Boy Scout troop and youth sports teams. We mentor a Rotaract club for students at USD and helped start new Rotary Clubs for young adults in La Jolla and Kingston, Jamaica . Our weekly meetings always feature lunch and interesting speakers with great messages, and wine is occasionally available for your enjoyment and relaxation. We have a free community event on the beach in Del Mar in October, a fantastic wine soiree in May at the Del Mar Plaza and regular fellowship events in addition to our service projects and activities. Simply put, if you are the type of person who enjoys being involved in your community, working and socializing with many talented individuals, then this is the club to join! We are always looking for motivated individuals who are willing to share a little bit of their time and talent to better serve our community and those less fortunate than ourselves worldwide. If you're interested in having fun and meeting great like-minded people then please join us any Thursday at noon at St. Peter's Church Hall, 334 -14th Street, Del Mar. I would be honored to have you as my guest.